Over the years, things such as hair, soap, Lego, and other assorted items can accumulate to clog your drains. Often you can clear small clogs with a plunger or snake, but sometimes you will need an expert. At R&B we have the right tool for the job. From small electric augers to water jetting machines, large augers, and pneumatic rams, our equipment can be onsite without delay. Not sure what the problem is? With our video diagnostic equipment, exploratory digging is not necessary. We see the issue and the location before any of the digging begins. Sewer repair is a messy job but we are always up for the task! Clogged sewers cause major life disruptions and are almost always an emergency situation. Our technicians are on call 24 hours / day for emergency service. Need maintenance? 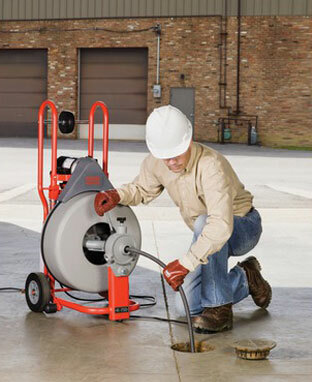 Our water jetter machine will clear accumulated debris in your storm drains effectively and in record time. Call R&B today for all your drainage needs. Sewer repair is a messy job but we are always up for the task! Clogged sewers cause major life disruptions and are almost always an emergency situation. We can assess your situation without digging up your yard. Our camera allows us to inspect the extent of the damage and lets us know what tools are required to fix the problem the first time.